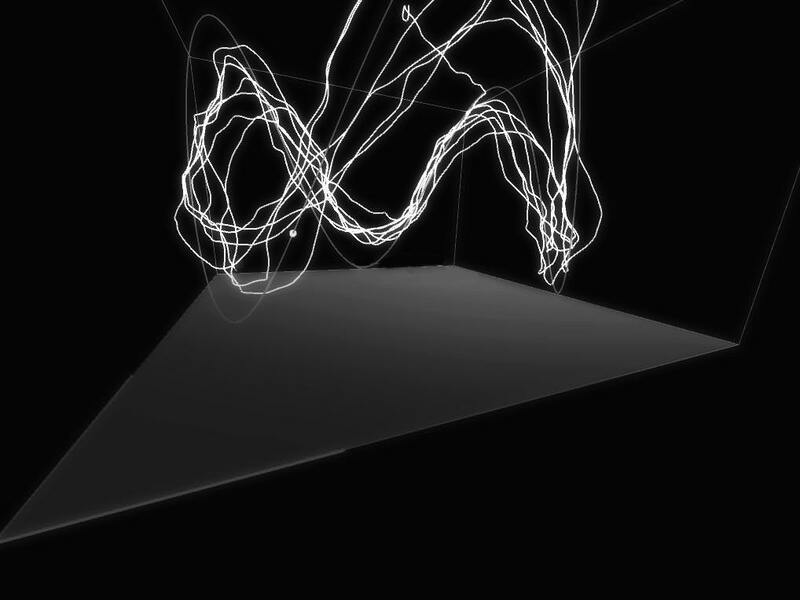 A generative program is connected to the choreographic movements of a dancer and creates growing structures in a geometrically defined space. The virtual becomes physical - the digital with its algorithms leaves its marks. Intervening Spaces uses the expanded role of the stage as a conjoining element between new media, fashion and dance. The dance performance itself forms a stage design in a virtual space. 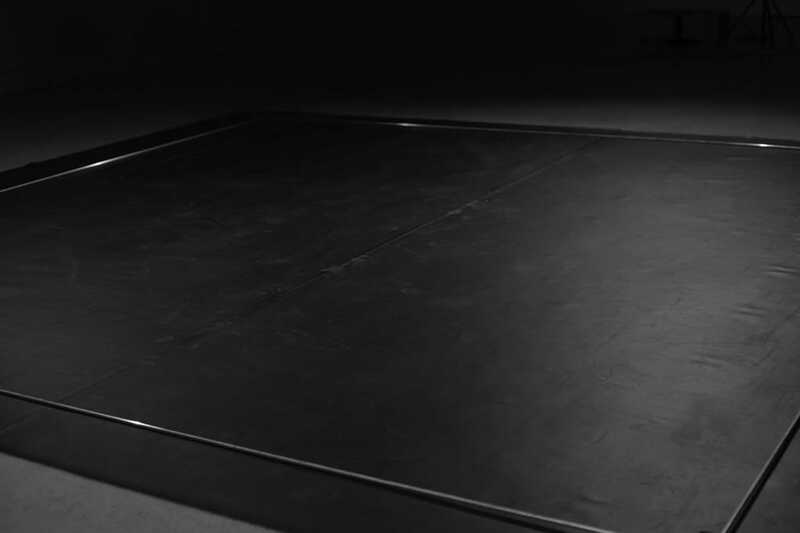 At first, the female dancer finds herself in an empty space, which is defined by 4x4x3 meters. 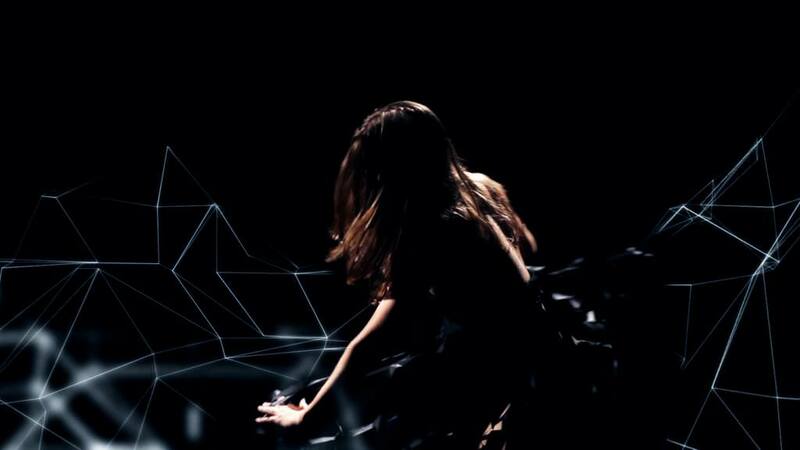 A system comprising two Kinects is tracking and analysing her movements. These data are transferred to a virtual replicate of the physical space. 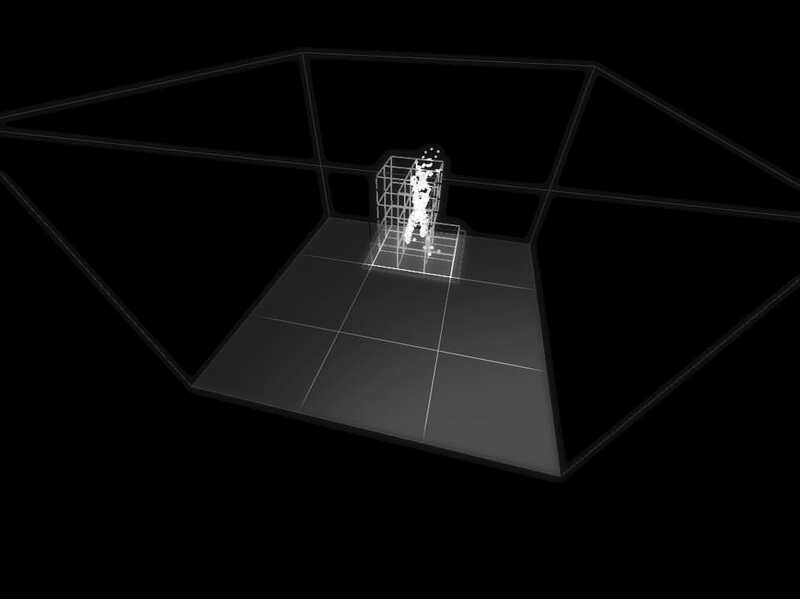 As a result, a virtual organic structure starts to develop and fill the empty space. The way in which the structure continues to grow is dependent on the individual movement of the dancer. The next part of the project is to transmit the estimated data back into the physical. 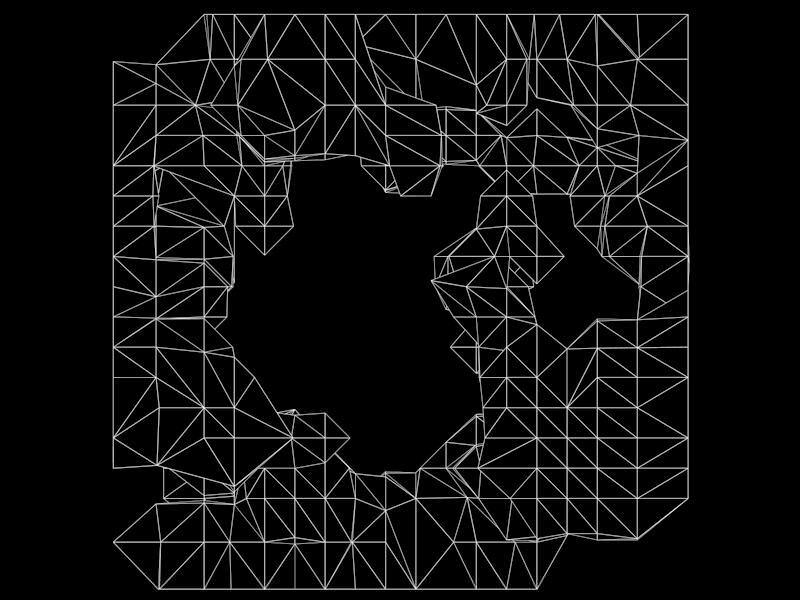 The entire structure is divided into single polygons. 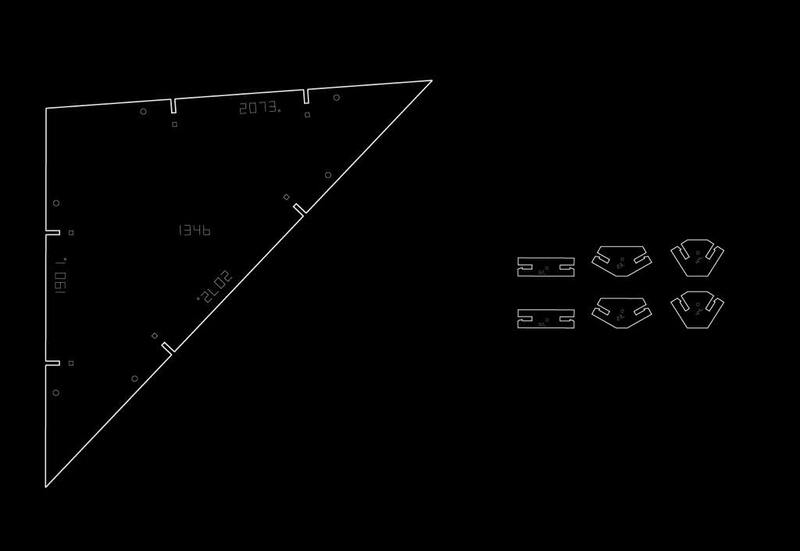 Every polygon has got its individual ID and information about its position in 3D space. 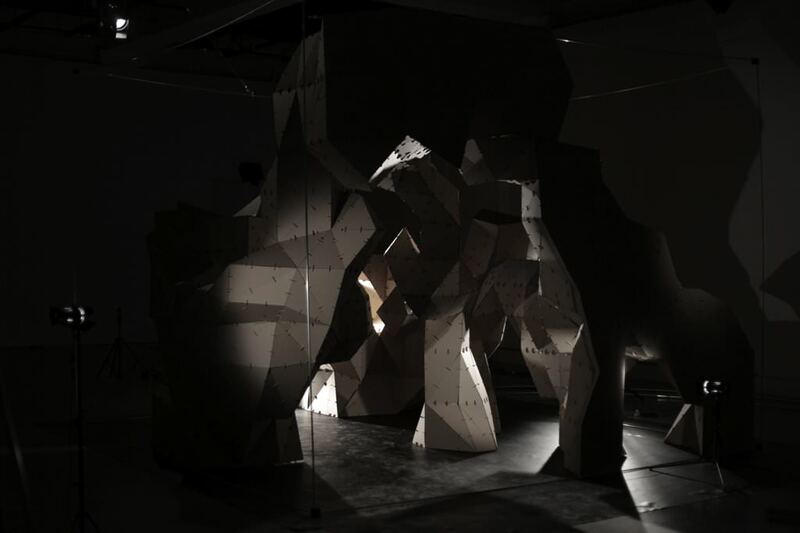 All pieces are being placed algorithmically on cardboard sheets and cut by a laser-cutting machine. After cutting and assorting all the pieces, the stage design is ready to be assembled - leading on to the next part of Intervening Spaces.